The LG Magic Remote will come equipped with Nuance's Dragon platform, offering voice recognition to LGs brand new Smart TV Range. Nuance Communications has announced its Dragon TV platform will be used in LG's Magic Remotes, which will come packaged with the LG CINEMA 3D Smart TV, shown off at this year's CES 2012. Using the LG magic remote, users can instantly find the shows or channels they want to watch, simply by speaking a channel number, show name or movie title. The features don't stop there, either - users can also use the voice function to search for web content and access sites such as Facebook and Youtube. Nuance Communications is one of the world's leading providers of voice technology services, so it seemed only a matter of time before a company like LG came along and snatched it up. The voice-controlled remote will initially support US English, American Spanish, Canadian French and Korean. 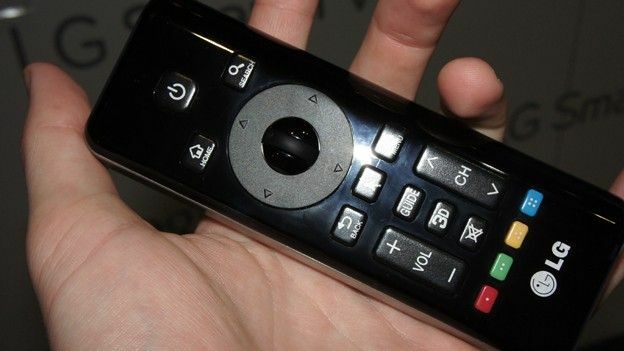 According to LG, the Magic remotes will be on the market in Q1 2012, so not long to wait. In the mean time, you can drool over the new range of LG Smart TVs over at LG's website.